Can food change minds? Can it shake prejudices and alter perceptions? 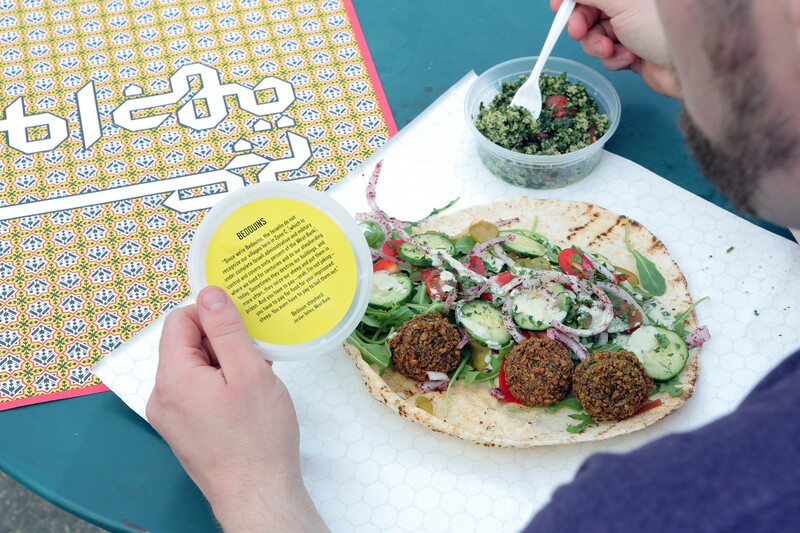 If not a lot, it can definitely start conversations, says Jon Rubin, co-director of Conflict Kitchen, a Pittsburgh-based takeaway that changed its identity every six months to serve food from countries with which the United States of America is in conflict. “The idea was to engage the public on a daily basis in cultural and political conversations that are often uncomfortable for many Americans to have because they involve recognizing the common humanity of people living in countries our government is at odds with,” continues Rubin. 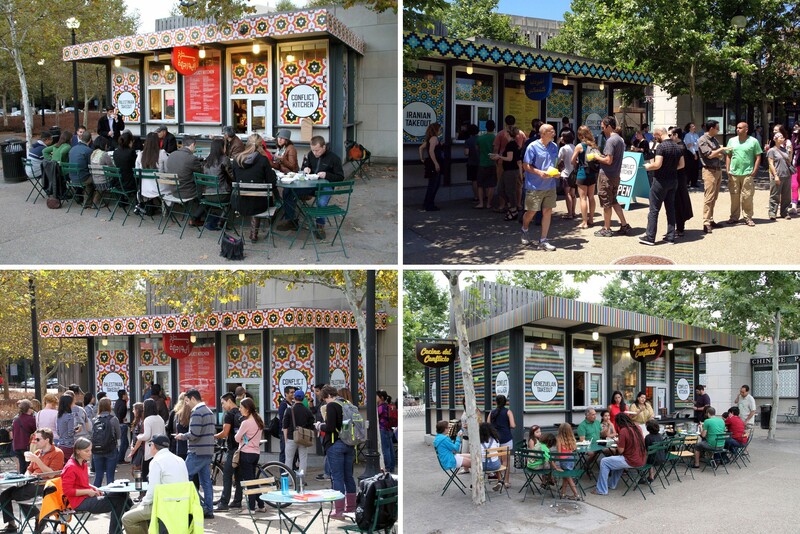 A project conceived by artists and activists Rubin and Dawn Weleski, Conflict Kitchen started the takeaway restaurant in 2010. The project brought Iranian, Afghani, Venezuelan, North Korean, Haudenosaunee and Palestinian cuisines for the first time ever to the city. Food became a starting point for political discourse here, with every meal wrapper filled with interesting insights about the lives and beliefs of the people of the countries the food came from. Presenting the food, culture, politics and personal stories in such an accessible way offered a much-needed platform to bridge the gap and promote a healthy dialogue between immigrant communities and residents. Although the takeaway was shut down in May this year, Conflict Kitchen continues to host other interesting public events, cooking demos and workshops. The founding team also just received the Andy Warhol Foundation for the Visual Arts Curatorial Fellowship to travel to select American cities and investigate the potential for future iterations throughout the country. How did this idea of Conflict Kitchen come about? We developed the project in 2010. The idea was to reformat the pre-existing social relations of food and economic exchange to engage the general public in discussions about countries, cultures, and people that they might know little about outside of the polarizing rhetoric of U.S. politics and the narrow lens of media headlines. We were motivated to also recognize a greater diversity within our city and, since opening, we’ve presented the first Iranian, Venezuelan, Palestinian, Afghan, North Korean and Haudenosaunee restaurants that have ever existed in our city. What kind of conflict do you look for when choosing countries — political or ideological? We define conflict very broadly to include political, economic, environmental and cultural conflict. However, there are many ways to define and think about conflict, which is something the project tries to examine. Our Haudenosaunee iteration was an example of such an interpretation. The six Indigenous nations that make up the Haudenosaunee Confederacy are located primarily within the borders of the United States and are sovereign political entities in their own right but have had ongoing political, economic, environmental and cultural conflicts with the United States. After you choose a country, how do you go about it? What is the kind of research that goes into it? I see that the diasporic community is involved as well. Do you involve them in the planning stage itself? Before choosing a new iteration, we do a good amount of research on our end to define what the conflict is, create some options for how we might present that iteration and identify community members that would be open to collaborating with us. After we’ve selected a focus, we involve local diaspora community members in every step of the process. Whenever possible, we will travel to the nations to experience the culture, cook alongside local chefs and community members and generally absorb everything we can. Over the years, we’ve traveled to Cuba, Palestine, South Korea, Iran and a number of Haudenosaunee communities in upstate New York. Community members are interviewed for our printed materials, such as our interview handouts and children’s books. We work closely with the local diaspora community to provide feedback on design elements, menu selection and taste-testing. After the launch, local community members will assist us with engagement and program support as their schedules and interest allow. We’ve been extremely grateful for how generous people have been with their time and effort over the years. There was a huge controversy (in 2014) over the Palestinian version of the project, after which the Heinz Endowments withdrew its support and death threats were issued to you. Did you expect this sort of a reaction when you set out on the project and what happened following that outbreak? We knew that Palestine is often surrounded by controversy in the United States and we anticipated two main criticisms from the conservative Jewish community about our Palestinian version: first, that the U.S. is not in conflict with “Palestine” (their emphasis) and second, that Conflict Kitchen should counter the Palestinian viewpoints with pro-Israeli viewpoints in order to present a balance to dangerous propaganda. We certainly did not anticipate the highly inflammatory narrative that would follow after right-wing media picked up some tweets and blogs by members of Jewish Federation. As you’ve mentioned, we received both death threats and the Heinz Endowments (of which Theresa Heinz Kerry is the Chairman) publically disavowed their support of our project after intense public pressure from B’nai B’rith. After our death threats became known, we saw a tremendous outpouring of support from the Pittsburgh public for both us and the Palestinian community. We reopened after a brief time and that iteration was actually one of our most popular to date. Could you tell us a bit about the kind of events that were organised alongside each edition? We have had a number of public and educational programs for each iteration. Recurring programs include: Lunch Rush Trivia, where customers waiting in line for their food become participants in our informal trivia show; Lunch and Dinner Hours, when community members speak about their personal experiences over a meal; our Guest Instagrammer, where a community member takes over our Instagram account to share their daily life; and The Foreigner, where customers can speak to people living in the focus country through simple mobile technology and a local human avatar. We have also organized larger scale events, like the Iranian Virtual Cooking Lesson or the Iroquois White Corn Workshops, to highlight different aspects of each focal nation. The virtual cooking lesson utilizes video chat technology to connect people from around the world to cook and eat the same meal together. The Iroquois White Corn Workshops brought several of our Haudenosaunee collaborators from upstate New York to Pittsburgh. While here, they facilitated workshops on corn washing, corn husk doll making, a modern vegan Haudenosaunee cooking demonstration and an informal Dinner Hour conversation. How has the response been to the project? Who are your typical customers? There has been an overwhelmingly positive response to the project. We do not have a typical customer; our customer base is extremely diverse and hails from all walks of life. We are often a destination for people when they are visiting Pittsburgh, so we have had patrons from around the country and the world eat our food and interact with the project. We do not aim to educate any one particular group of people but instead hope to engender a greater sense of curiosity amongst all our customers about the everyday lives of people in the countries on which we are focusing. Why did you choose to use food as an instrument to initiate this conversation about conflict? Do you think food as a central motif helps people understand or relate more to a different culture? The centrality of food in every culture is so fundamental and universal. It serves as a great way to connect with unfamiliar people, customs and values. Food and the communal act of eating provides an organic starting point for our customers to engage in a conversation about these countries in a way that both disarming and humanizing. How do you zero down on the menu for each iteration? We tend to focus on menu items that are very popular in that country. We then develop the recipes directly with people from the country we are representing, whether it be the diaspora community here in Pittsburgh or people we meet during in-country visits. From there, we try out different versions or adaptations and do a lot of taste testing and fine-tuning to create the final menu. Where do you go from here? What is planned for Conflict Kitchen in the future? Right now, we are in the research and planning stages of a Syrian iteration. We are also travelling around the country and soliciting interest for potential partners that can offer community connections, organisational capacity, and funding to launch and sustain their own versions of the project while staying true to the original mission and vision of Conflict Kitchen. Each series of our research trips will culminate in a public event that presents the format and plausibility of a sustainable version of Conflict Kitchen that is owned and managed by local cultural and community institutions. 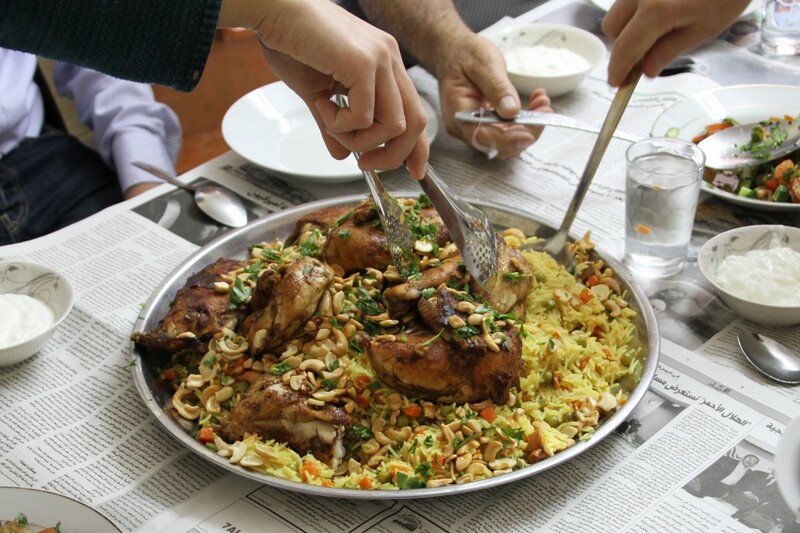 Our aim is to further highlight and involve both refugee and immigrant communities, who have supported and shaped Conflict Kitchen over the years, into the project. Writer. Editor. UX Writer @tado . Editor & Publisher @inaclaypot. Film. Food. Books. Feminism.